With Sonic Generations releasing a few short weeks ago for the consoles, it is now time to see how it's portable counterpart fares against it's bigger siblings. 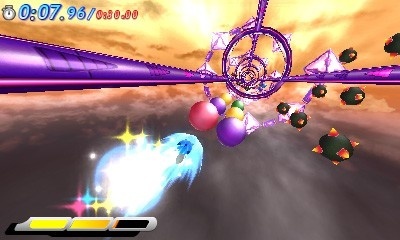 We are of course talking about Sonic Generations for the Nintendo 3DS. In this portable version, you will play as both classic Sonic and modern Sonic playing in levels that should be familiar to you as they span the last twenty years of the Sonic the Hedgehog franchise. 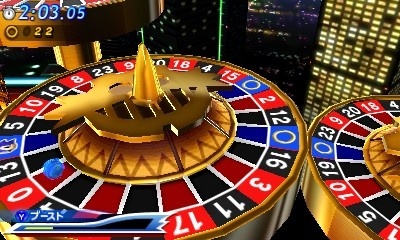 The conflict this time around is an unknown force that is creating time holes that are taking Sonic back in time, both Sonics and their friends, but the good news is that you get to play as both to get the job done and see who is to blame for this dilemma. 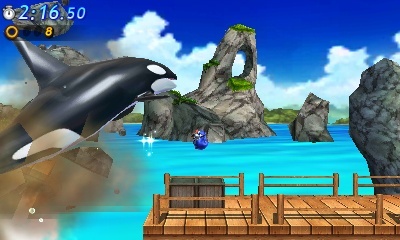 In the portable version of Sonic Generations you will get some exclusives, one being able to play in 3D on the go, the other being environments made for the 3DS, and the last being items and challenges exchangeable via SpotPass. Now let's get into the meat and potatoes behind this timeless franchise. For one, I thought the gameplay was great with the game taking advantage of the system's capability giving the environments more depth and bringing the player that much closer to having a seizure with the lightning fast speed. Sonic to me has always been hold the directional pad right and try and jump before impact with baddies at lightning fast speed. 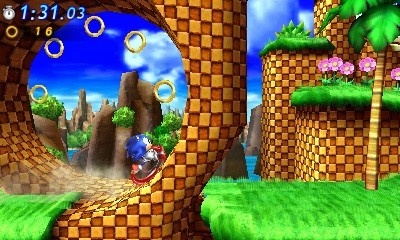 The gameplay between both Sonics vary significantly enough to provide both a vintage and modern feel. I myself preferred playing as the modern day Sonic with the targeting and just felt like it played a bit more fluidly and looked cleaner than the levels with Sonic of the past. What I did feel was missing was the rest of the game as you only get one level with each sonic per world along with one special stage. Though each level looked and played exactly as I hoped I just wanted there to be more of it. In terms of the gameplay, I wish more time would have been spent on the targeting mechanics, because there were quite a few times in which I was expecting to lock on or it would lock on a tad too late. While the 3D is clear and beautiful, I felt that I could not play as long as other title played on the system before beginning to feel my eyes strain. 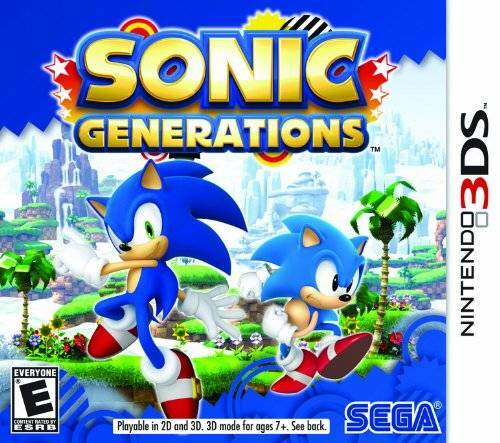 All in all, Sonic Generations for the 3DS was a refreshing title that the portable needed in it smaller than expected library. It is that same Sonic feel that I grew up on with the modern touches that make everyone's favorite hedgehog continue to be relevant in the video gaming industry. Though it did have some shortcomings, like not having enough of a good thing, it was a lot of fun to play and if you feel that need for the blue blur, you can go back to prior levels to achieve faster times and medals.